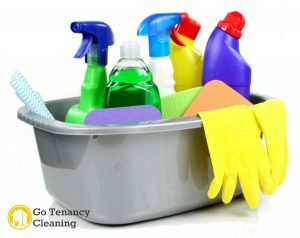 If you are looking for a fool-proof way to reduce the stress of your upcoming move-out and actually guarantee that you are going to receive a refund on your security deposit – money you will put to good use – then you should consider the following tips concerning the end of tenancy cleaning. Basically, end of tenancy cleaning is the process of sanitising a property, usually, a rented one, right before the tenant moves out. The goal is to demonstrate to the landlord that the apartment or house in question is in a good condition and there is no need for repairs of any sorts. In some cases, the cleaning process should be carried out by professional cleaners that are capable of providing you with reliable end of tenancy cleaning in Clapham SW4, in others you, as a tenant, can do the job on your own. The importance is in the end-results and meeting your contractual obligations. If your case is in the latter group, check out the tips that are listed below. Start at the right time – cleaning is a daunting task and you might feel tempted to finish it as soon as possible, but the simple truth is that for the best outcome, you need to commence the cleaning process at least when the majority of your goods are safely packed and moved out of the way. You might even consider booking a quick post-tenancy cleaning in London so that you are sure that all other obligations of yours connected to the relocation are met. Clean the carpets – carpets, upholstery and drapes tend to get the dirtiest, especially after a long tenancy. That is why paying special attention to them is crucial. Carefully and thoroughly vacuum them, then inspect for stains that can be washed away using a steam cleaning machine and some chemical products. Get the right tools – detergents and cleaning products, cloths, vacuum cleaners etc. should be all on your list of items to have in handy when you are commencing an end of tenancy cleaning. Make sure to have everything at hand in advance, so that you can avoid running to the store in the middle of your cleaning. Cleaning a room at a time is the most logical and efficient way to proceed. Move on to the next one only when you are finished with that which you are currently sanitising is the way to go. As for direction, working from the inside the property toward the outside might be a sensible thing to do. Alternatively, you can just pick up the high-traffic areas – kitchen, hallways, living room – and do them first. The logic here is that those will give you the toughest time cleaning thoroughly and you might want to take care of them while you still have your full energy.